I designed this tiger lily brooch for women who love exotic jewelry. 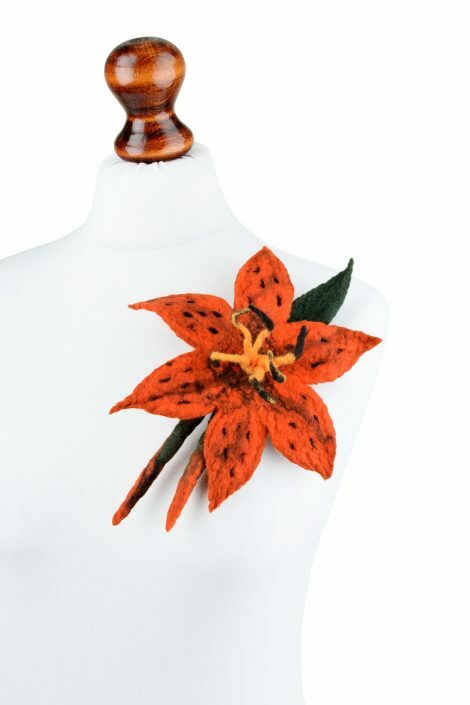 It is one of my biggest brooches and it is really outstanding. 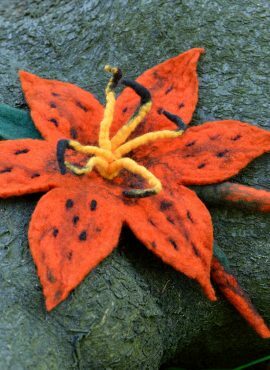 It has a shape of a wild orange flower with cute stamens in the middle. 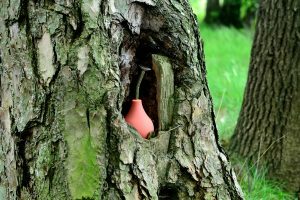 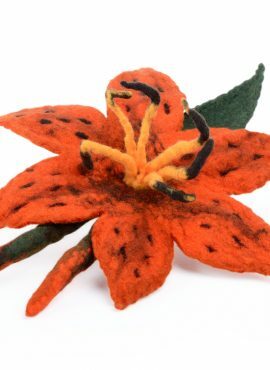 The flower sits on a narrow leaf and on the other side of it there are two oblong buds. With all the details this exotic flower brooch looks pretty wild and will add a delightful note to your outfit. 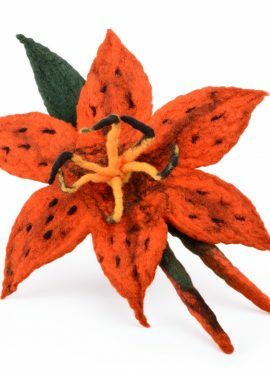 I make this large flower brooch in felting technique. 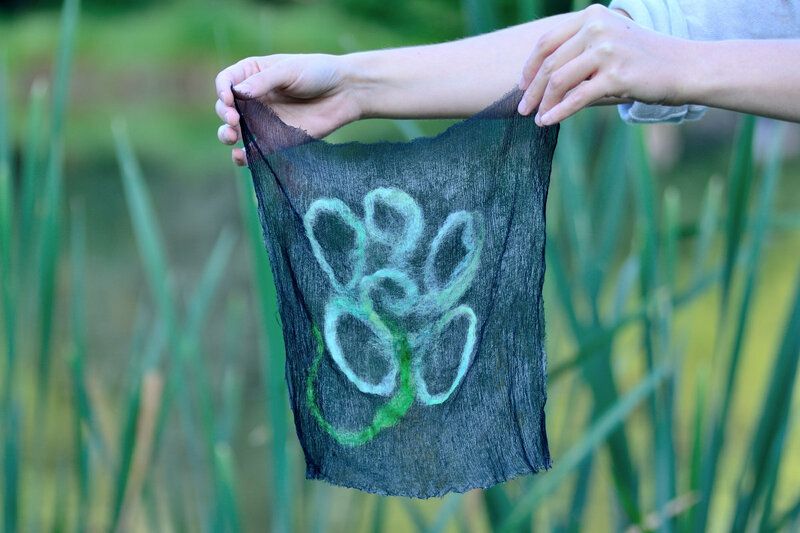 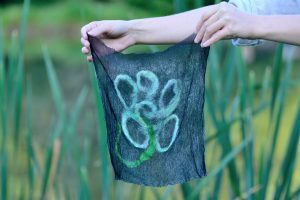 I use only soft merino wool and silk fibers, so it is natural and eco-friendly. 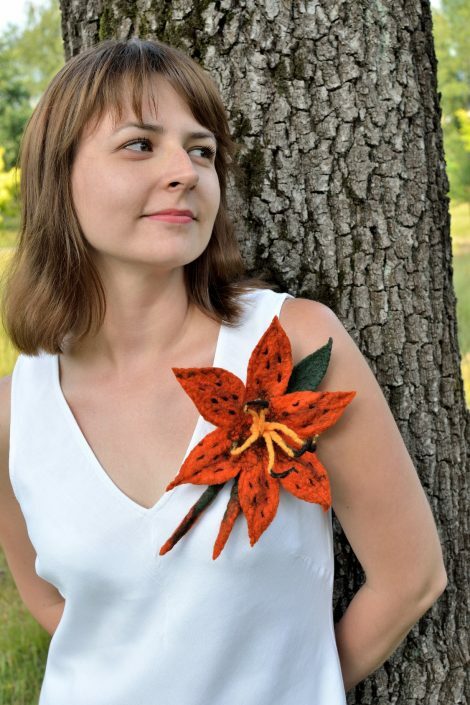 You can wear it in many ways, e.g. 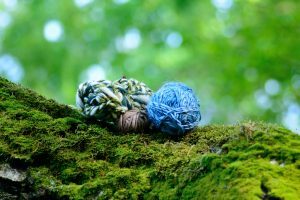 with clothes, bags and shawls. 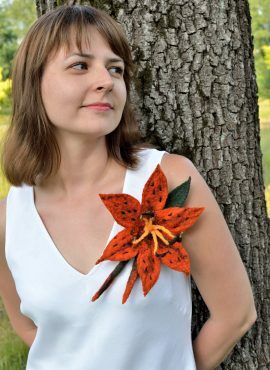 If you combine this tiger lily brooch with plain and subdued clothes, you won’t need anything else to accessorize yourself. 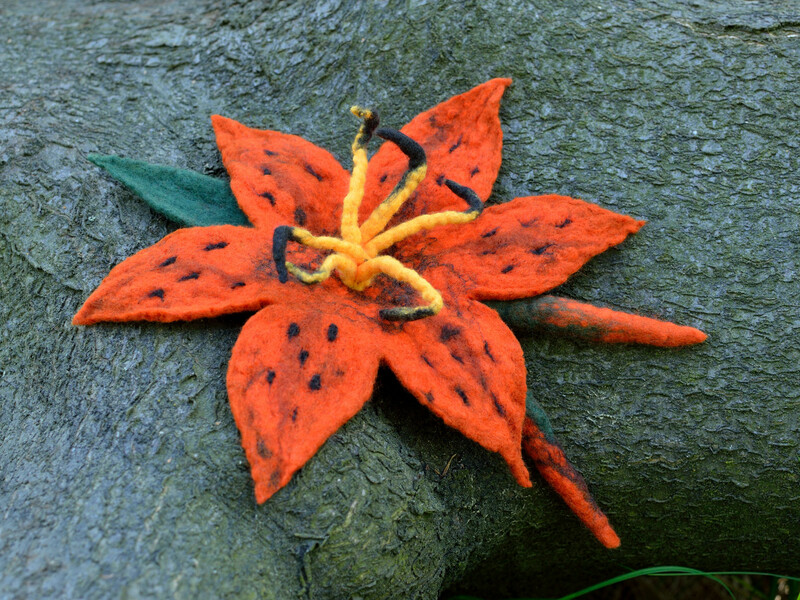 Its bright color and exotic design will make all the work for you, attracting attention and catching men’s eyes. 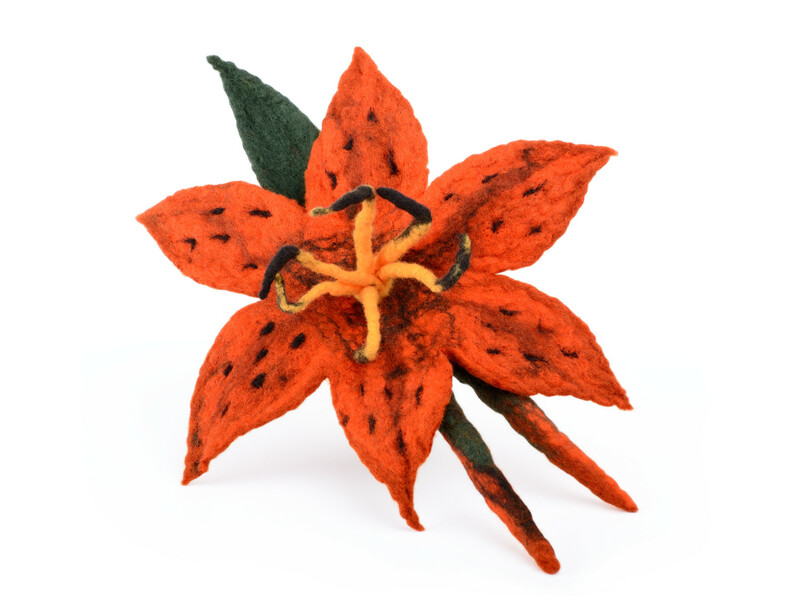 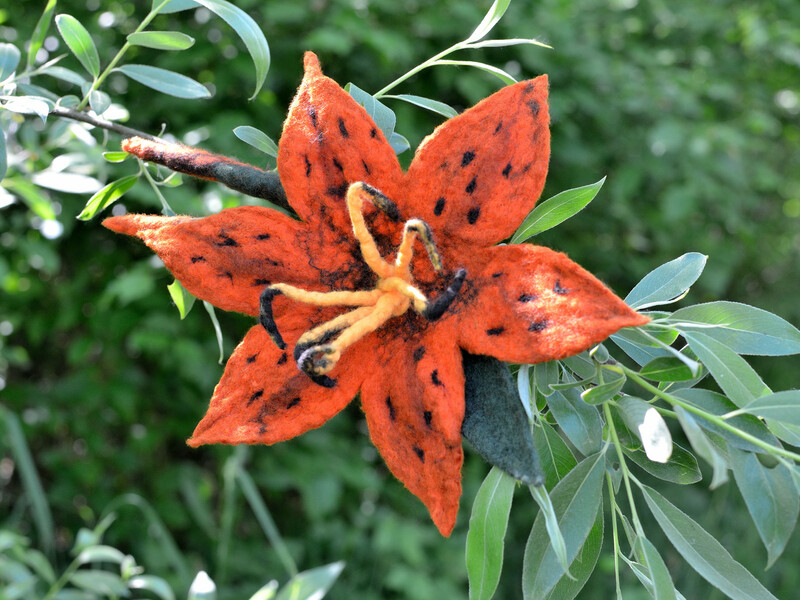 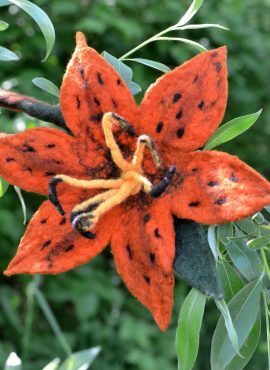 If you are energetic and full of life, this orange felted brooch will be perfect for you. 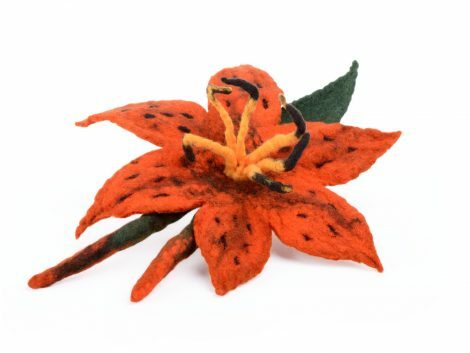 It will be also a great gift for every confident woman who love felted jewelry and exotic flowers.